Detective Constable 'Dangerous' Davies (Peter Davidson) is the lowest man on the totem pole in his London police station and is the last detective his boss would assign to a major case. Davies is a bumbling underdog who is not respected by his colleagues and only given the cases no one else wants. Despite this, he does his job with determination and intelligence and somehow manages to solve major cases. 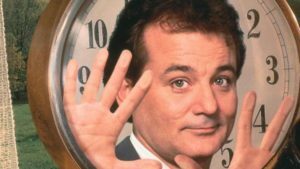 The audience gets views of Davies' personal life, including his ex-wife (whom he is still in love with), his dog, and his quirky friend, Mod. This British series (comprised of four seasons) is a gentler version of police procedurals, with some humor and no gratuitous violence. If you like The Last Detective, you might also enjoy some of the selections on British Detective Series…Now. Former First Lady Betty Ford thought her husband Gerald Ford was going to retire after his time in the U. S. House of Representatives, but instead he moved to a higher office, taking over the Vice Presidency when Spiro Agnew was forced to resign. He became president when Richard Nixon resigned, setting her husband up as one of the most powerful men in the world without even running for office. His demanding job made him a largely absent husband, forcing Betty to raise her four children almost as a single mother. While her husband was in the White House, Ford was diagnosed with breast cancer. At the time, it was like receiving a death sentence. She also suffered from an addiction to prescription drugs and alcohol. In 1978, her family staged an intervention. Ford was open with the American public about her health issues and would go on to co-found the Betty Ford Center. Her outspokenness about her personal experiences put the focus on women’s health issues, alcoholism, and addiction, prompting many to seek treatment themselves. 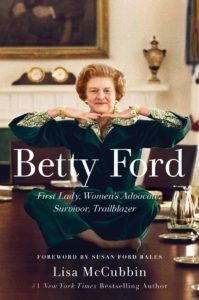 You don’t need to be a fan of President Ford or Betty Ford’s politics to enjoy Betty Ford: First Lady, Women’s Advocate, Survivor, Trailblazer by Lisa McCubbin. This is an inspirational and sympathetic portrait of a woman dealing with many issues while living in the political arena. This novel details the journey of Honor Bright, a young Quaker who leaves England to follow her sister, who was about to start a new life in Ohio with her betrothed. Things don’t turn out as planned when Honor’s sister dies en route. With nowhere else to go, Honor moves in with her sister’s fiancé, Adam, and his sister-in-law, and struggles to deal with his family. Along the way, Honor befriends a local milliner named Belle who makes good use of Honor’s excellent quilting skills. Working in the shop, Honor meets Belle’s brother, a slave hunter, and witnesses some movement along the Underground Railroad, giving her insight into both those who seek to uphold the law and those who sought to help slaves to freedom. 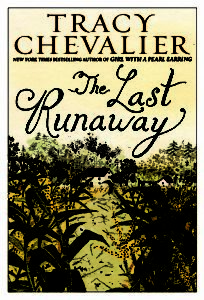 The Last Runaway by Tracy Chevalier is a thought-provoking and leisurely-paced historical novel that is filled with interesting characters, loss, and a unique look at slavery in America through the eyes of the Quaker community. From start to finish, The Greatest Showman mesmerizes—from the kaleidoscope of colorful costumes and sets to the catchy musical numbers. It portrays the musical story of P.T. Barnum, magnificently played by Hugh Jackman. The extravaganza starts when he is a poor orphan who falls in love and then marries a girl from a well-to-do, snobby family, Charity (Michelle Williams) and starts a family. Then, he sets out to fulfill his dream of building the greatest show on earth. Barnum hires a dwarf, Tom Thumb, and others with physical abnormalities, such as a giant to attract audiences, but treats them with respect. The moving song, “This is Me”, performed by the bearded lady, Tony nominee Keala Settle, won the 2018 Golden Globe for Best Original Song. Also, “Rewrite the Stars” sung by Barnum’s business partner (Zac Efron) and an African-American trapeze artist (Zendaya) while performing their own aerial stunts reflects their budding romance in the face of prejudices. 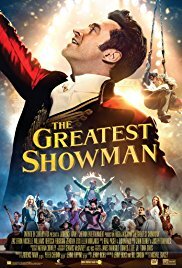 The Greatest Showman is pure entertainment for school-aged children and adults. There is also a sing-a-long version. Check out The Greatest Showman: original motion picture soundtrack to listen to the incredible songs again. Delight in 150 color and black-and-white photographs of actors, artists, athletes, politicians, and distinguished people from various nations taken by renowned photographer Annie Leibovitz. The unretouched, compelling portraits capture each subject’s personality in interesting and meaningful settings. In Annie Leibovitz: Portraits, 2005-2016, there is a distinctive photo of Jack Nicholson on Mulholland Drive and Queen Elizabeth on the steps of Windsor Castle with her corgis and dorgis. 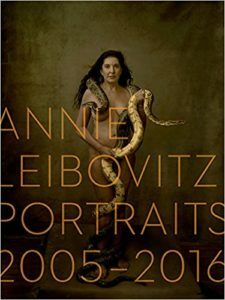 The Library of Congress named Annie Leibovitz a living legend. Award winning actors Jennifer Lawrence and Bradley Cooper have costarred in four movies: Silver Linings Playbook, Serena, American Hustle, and Joy. The interaction between these talented stars is amazing. In Silver Linings Playbook, Bradley Cooper plays Pat Solitano, a man suffering from bipolar disorder and has an obsession with his ex-wife, Nikki, who has a restraining order against him. Through a friend, Pat meets Tiffany (Jennifer Lawrence), an unbalanced widow. He latches onto her when he learns that she knows Nikki. This poignant and sometimes comedic film has a colorful cast of characters, including Robert De Niro as Pat’s father, who is fanatical about the Philadelphia Eagles. Browse Best On-Screen Couples for other couples you might enjoy watching. 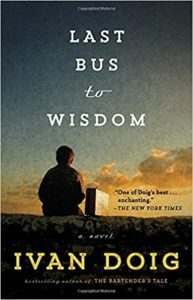 Inspired by a cross-country trip Ivan Doig took as a young boy in the summer of 1951, Last Bus to Wisdom is about Donal, an 11-year-old boy, being raised by his grandmother on the Double W Ranch in Montana. When his grandmother requires surgery, Donal is sent to live with his bossy, rule-driven great-aunt Kate in Wisconsin. When Kate reaches her wit’s end, she sends Donal back to Montana. Her husband, Herman, joins Donal on the greyhound for the summer of a lifetime, using their wits to survive. Along the way, Donal asks characters to sign his memory book, which opens him up to all kinds of people on the road, from hobos and villains to soldiers and kind-hearted travelers, with a few recognizable faces, such as Jack Kerouac. Doig is a great storyteller, whose character-driven novel has a strong sense of place, keeping readers anticipating where the story will go next and who they will meet along the way. In Last Bus to Wisdom, it’s not about the destination, but the journey. Arthur Pepper has lived a simple, routine, lonely life since his wife, Miriam, passed away a year ago. His children are busy with their own lives, and he is grieving the love of his life. While searching through a wardrobe, Arthur finds his wife’s beautiful gold charm bracelet with a collection of charms. His curiosity leads him from York, England, to Bath, London, and Paris tracking the origin of the bracelet and the significance of each of the charms. His journey takes him out of his comfort zone and leads to adventures; new experiences, such as coming face to face with a tiger; and meeting different people. He discovers a side of his wife of forty years that he never knew and learns about himself in the process. Arthur’s interactions with his nosy widowed neighbor, Bernadette, and her teenage son, Nathan, enhance the story. 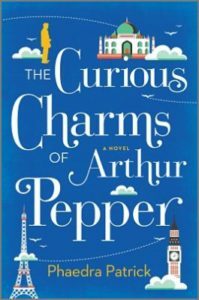 Phaedra Patrick’s The Curious Charms of Arthur Pepper is a heartwarming, poignant, and amusing story. 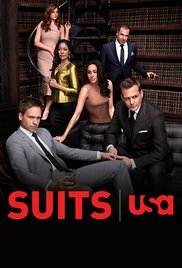 If you enjoy a legal series with a unique premise and great cast, watch Suits. Top attorney Harvey Specter hires Mike Ross, a college dropout with a photographic memory who is on the run from a drug dealer, as his associate knowing he never attended law school nor passed the bar. Delight in the winning combination of the seemingly cutthroat attorney and the compassionate associate. Suits is a balance between relationships within the Manhattan corporate law firm, negotiating cases, and a little romance. Enjoy the infighting and firm politics, especially with the annoying attorney, Louis Litt. What would you do if three planes crashed in your town within eight weeks? 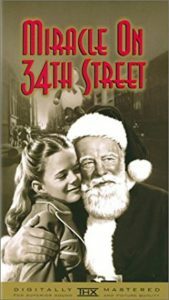 As fifteen-year-old Miri Ammerman, her mother Rusty, her grandmother Irene, and friends prepare for Hanukkah and Christmas in December 1951, an airplane crashes. In the Unlikely Event is an engrossing story told from multiple perspectives, has likable characters, and deals with relationships and romance in the midst of tragedy. 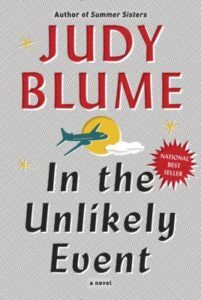 Judy Blume has stated that that idea stemmed from real plane crashes that occurred in Elizabeth, New Jersey near where she lived – get the scoop in this Buzzfeed interview. On October 28, 2016, the historic Willowbrook Ballroom burned down. The legendary ballroom and banquet hall in Willow Springs started as the Oh Henry Ballroom in 1921. It had its heyday in the big band era of the 1930s and 1940s featuring bands such as Jimmy Dorsey and the Glenn Miller Orchestra. 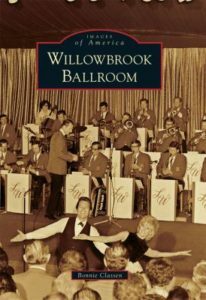 When ballroom dancing was on the decline in the late 1960s and 1970s, Willowbrook Ballroom featured Chubby Checker and such bands as The Cryan' Shames. Supposedly it was the last place Resurrection Mary danced before she left and was hit by a car. There have been sightings of her ghost in the Chicago area.